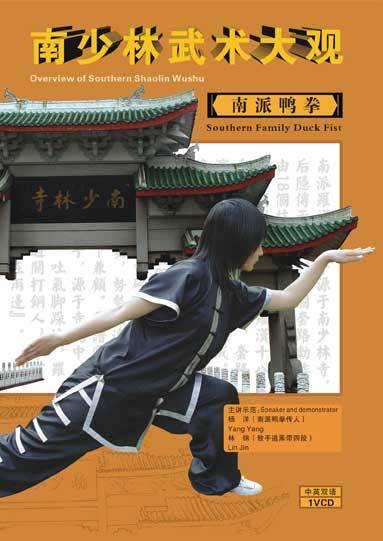 Southern Family Duck Fist, is originated from Southern Shaolin Temple at the beginning,then expanded in society. The fist is the imitation of duck action, cage outgoing, watching, wings stretching, floating, running, walking, water playing, hatching and pecking, for example. The fist is called Southern Family Duck Fist, who is full of the characteristics of Southern Boxing. Practice methods, exercises and skills appreciation consist of the fist. The way to learn and do practice is to simulate the behaviors of duck while walking along the river bank. By doing this, you can improve your reaction frequency and eyesight, the coordination among your shoulder, elbow, wrist and knee. Form has 27 actions all together, fist behavior like a duck, so called Duck Fist.